Follow this link to access the Enrollment Portal. Returning families should have received an email with login information to access their account. If you have not received that email, email ryb@hillelhigh.com. Feel free to reach out to ryb@hillelhigh.com with any questions. 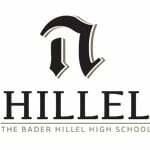 Bader Hillel High School admits students of any race, color, national and ethnic origin to all the rights, privileges, programs, and activities generally accorded or made available to students at the school. It does not discriminate on the basis of race, color, national and ethnic origin in administration of its educational policies, admissions policies, scholarship and loan programs, and athletic and other school-administered programs.